This interview appeared in the May/June 2015 issue of Dimensions magazine. Linda Conlon oversees a science village. 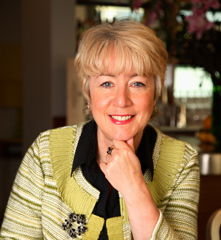 Building on a career that has spanned everything from marketing to government work to urban regeneration, she is today chief executive at the International Centre for Life in the United Kingdom. Based in Newcastle upon Tyne in northeast England, the complex—simply known as Life comprises a science center, medical research institute, health clinics, biotechnology businesses, and an institute devoted to considering the ethics behind its cutting-edge advancements. Along with her work at this unique space, Conlon will take on another singular role in October, as the first European woman to chair ASTC’s board. She spoke with Dimensions about her journey so far and the one she plans to take with ASTC.